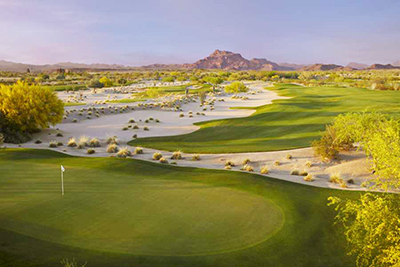 From the high plateaus to the Sonoran Desert, Arizona has much to offer the golfing aficionado. Arizona’s golf courses are as diverse and spectacular as the state’s famed landscape. Arizona is home to over 400 golf courses ranging from desert target-style courses to links courses and alpine fairways, designed by some of the greatest names in golf. Nearly every type of terrain – and difficulty level – is represented here and we’re sure that you can find an ideal location for your golf vacation – as well as a tee time that fits both your budget and your sense of adventure. One of the primary reasons Arizona has developed into one of the world’s top golf destinations is that the average temperature during the winter months is 70 degrees. The warm winter weather is absolutely perfect for golfing in Phoenix, Scottsdale and Tucson which can provide desert escapes coupled with big city life and five-star luxury golf resorts all in the same trip.